Show biz doesn't stop just because your lawyers are nailing down the divorce settlement. Hence the news today that the soon-to-be-former Mr. Mariah Carey is currently writing a book of poems for children. According to the publisher, "Neon Aliens" will feature black-and-white illustrations from several street artists and will reflect Cannon's desire to combine poetry and hip-hop. Cannon said in a statement issued through Scholastic that he has been writing poems and stories since he was 8. "The first important writer in my life was Shel Silverstein—he made me fall in love with writing and seeing his whimsical sketches got me interested in art," he said in the announcement. 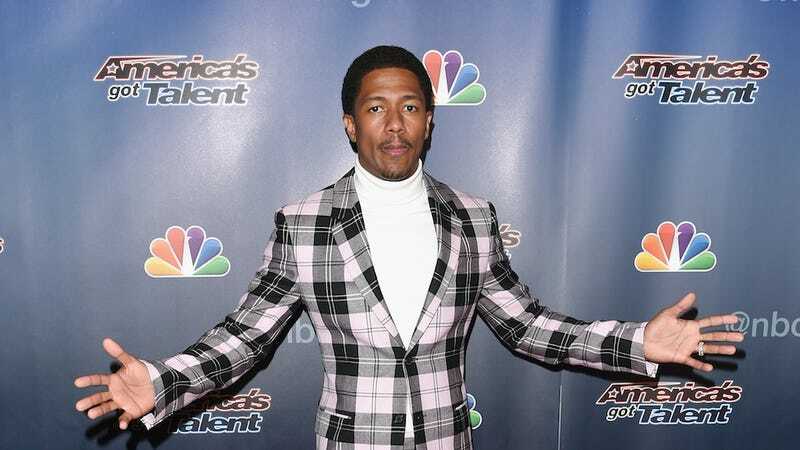 So basically picture Where the Sidewalk Ends, but written by Nick Cannon. If March just isn't soon enough for your shopping needs, worry not! This October he's due to release Roc and Roe's Twelve Days of Christmas. I don't even want to think about how elaborate that family's holidays are.